THE TAKEAWAY: Being a not-for-profit group does not mean you can’t make a profit, it simply means you can’t disperse any money that you make to your members. 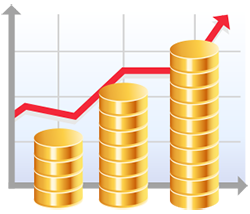 You can boost your coffers by charging for what you do, what you have, what you know, or what you can sell. Believe it or not, your organisation probably has a number of things it could sell to raise money. Money you raise from selling things is untied money – people have already paid for what they want; they don’t expect anything else from you. That means you can use the fundraising dollars raised through this method for pretty much whatever you want. Try to work out what is the market rate for your expertise and experience and ability to provide workable solutions and advice, and who might be willing to pay for it. Many not-for-profit organisations charge as little as they can for their services. This is often for very good reasons – they may be serving a community of people who have little ability to pay, for example. Still, it can be worthwhile asking yourself whether or not you could be charging for your services, or at least some of them, or at least for some people. OUR TIP: If you don't want to charge your clients or members a fee for your services, think about what else you could sell to those who can afford it – manuals, equipment, software etc. Most community groups have some assets - an office or clubroom, perhaps, or vehicles, such as a team bus or a work car, or equipment. Make a list of everything you have. This includes your building, regardless of whether you own it or are renting it. 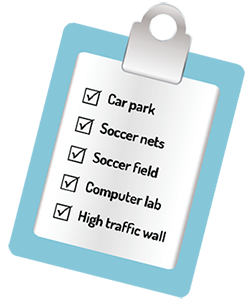 Also list what’s in the building – rooms, whiteboards, car parking spaces, the playground out the back. The next step is to list who might want to use these assets. For example: Can you rent your office, your computers or your equipment to other community groups to weekends when you're not there? 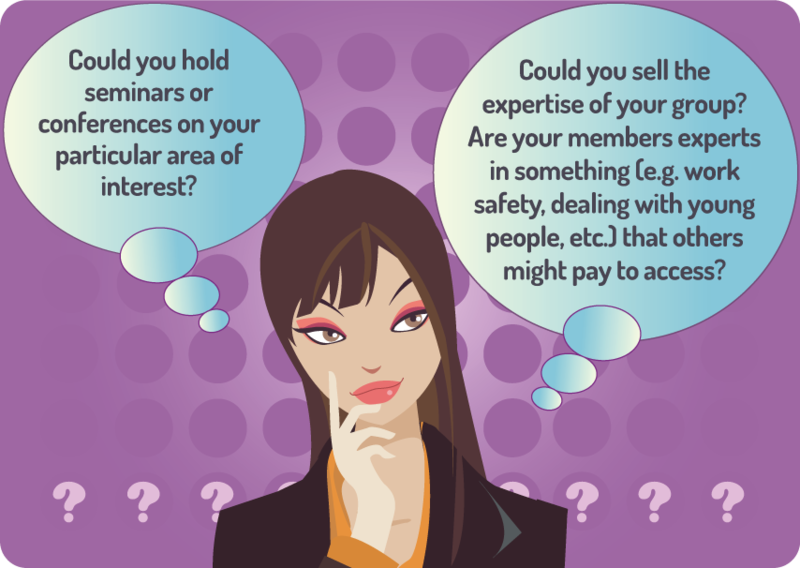 Things that you sell as an adjunct to what you do – for example, if you provide training, can you sell drinks? Can you make money from providing a coffee cart at your sports events or concerts? Things that you can sell purely for fundraising purposes – i.e. product-based fundraising, such as the classic chocolate drive. Product-based fundraising is dealt with in the help sheet Product-based Fundraising, while there is more information about raising money at special events on the Events Help Centre. Ensuring you’re not lumbered with any unsold stock.